Post-traumatic stress disorder (PTSD) is a complex mental illness that greatly impacts the quality of life of those who are diagnosed with it. Trauma is not easily combated, due to the social stigma and limited treatment options available. 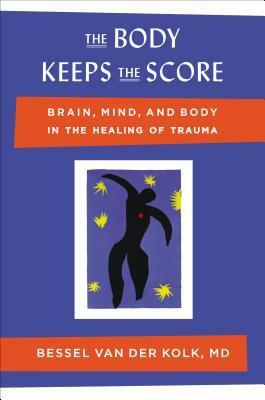 The Body Keeps the Score: Brain, Mind and Body in the Healing of Trauma goes into great detail about PTSD—including the symptoms, causes, and treatment options for it. Most importantly, this book acknowledges the fact that symptoms of PTSD often manifest in a physical form. We have compiled the knowledge from this book into a series of actions you can try yourself to both understand and treat PTSD. It is important to note that some of the treatment activities should be carried out in the presence of a trained professional or in a group where you feel safe. We wish you the best of luck on your road to recovery! Though he identifies himself primarily as a clinician, he has published well over 100 peer reviewed scientific articles on various aspects of trauma. Gain control over the residues of past trauma and hold the steering wheel of your life. Understand the reasoning behind addiction to self-destructive behaviors. Learn the brain patterns of individuals with PTSD, and understand what they mean. Know the three levels of safety to understand the main contributing factor to PTSD. Utilize treatment options that rely on interpersonal rhythms, visceral awareness, and vocal and facial communication. Learn to deal with hyperarousal. Rescript your life with the help of a group.